Breakfast is definitely my favorite meal of the day. This is one of my staple breakfast recipes that I make at least once or twice a week. This oatmeal is perfect if you are looking for something simple and energizing to start out your day. 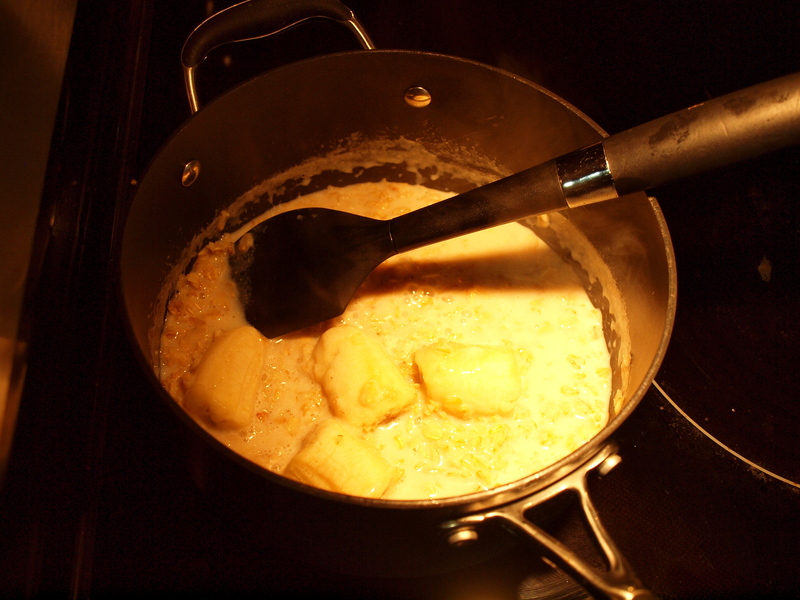 First, heat the milk on medium-high heat until boiling. Once the milk is brought to a boil stir in the oats. 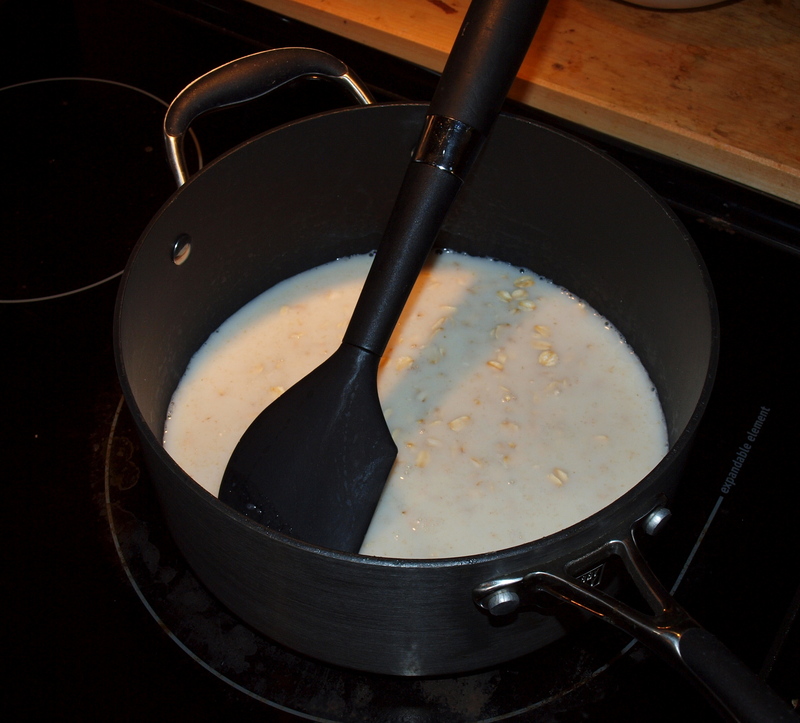 Lower the heat to medium-low and keep stirring occasionally until 3/4 of the milk is absorbed into the oats. Then, cut in 2/3-3/4 of the banana. 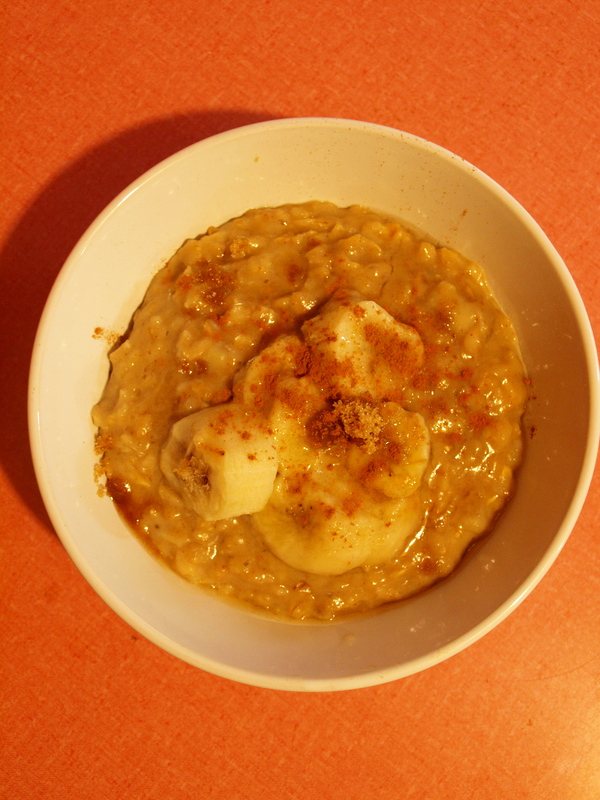 This allows the banana to cook down and really infuse the oatmeal with the banana flavor. Once all the milk is absorbed into the oats take the pot off the heat. Stir in the brown sugar and cinnamon. I use about 3 tablespoons of brown sugar and 1 teaspoon of cinnamon, but it’s all up to how you want it to taste! Once the spices are mixed evenly pour the oatmeal into your bowl. Cut the rest of the banana onto the top and then sprinkle again lightly with brown sugar and cinnamon for topping. There you have it! A super simple and delicious breakfast to start out your day.